• Pouches will last 25+ years if stored properly! 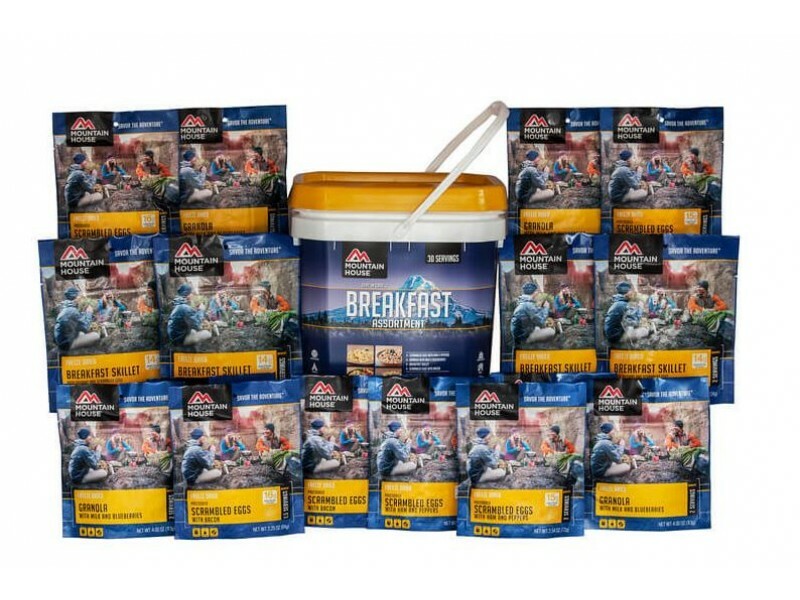 You asked for it and Mountain House delivered! 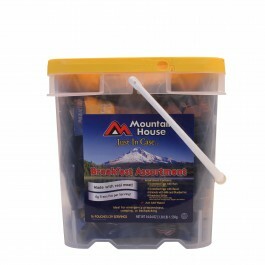 Easy to store buckets filled with their top selling items! Each bucket is clear so you can easily see the contents inside. Breakfast Bucket! 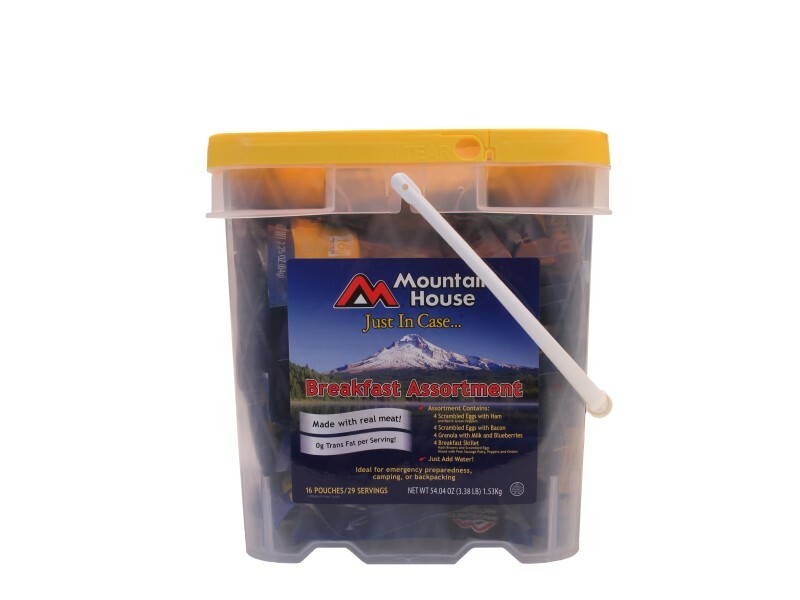 These are perfect for emergency preparedness, camping, backpacking or at-home use! Pouches will last 25+ years if stored properly!